This plant does not have to get rid of silt, moisture content, iron wire impurity and so on from the scrap plastic, directly loads in the rotary system high temperature atmospheric pressure split processor, catalyses, heats up, distils oil steam, the oil gas through the condenser, the liquefied part condense into the oil mixture, and the unliquefied part holds through the fuel gas system into the processor bottom to burn.After the mixture oil condense, put into fractionation processor to heat though catalytic reforming process, and get the oil steam. Then the oil steam through the condenser to be basic fuel, and add various additives to become qualified fuel. 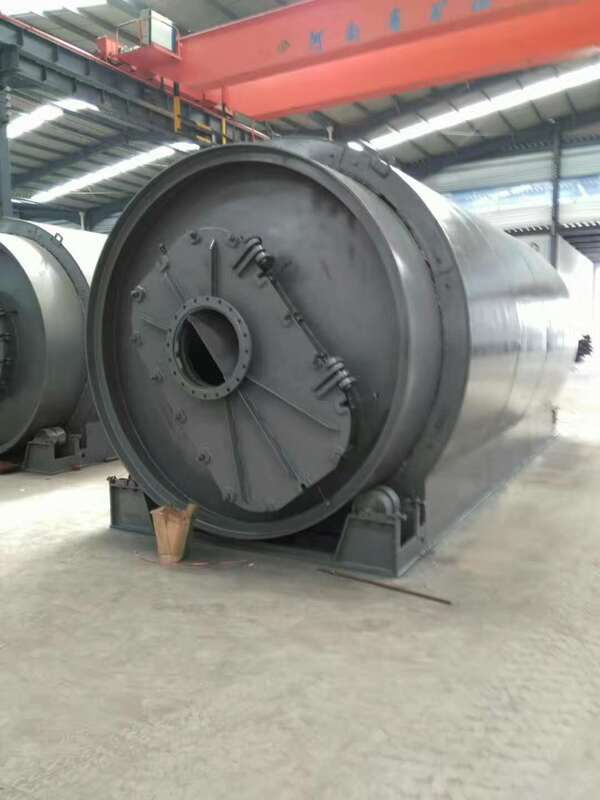 Looking for ideal Pyrolysis Plant for Tyres Manufacturer & supplier ? We have a wide selection at great prices to help you get creative. All the Used Tires Cracking Machine are quality guaranteed. We are China Origin Factory of Waste Rubber Pyrolytic Equipment. If you have any question, please feel free to contact us.